Did you know that building healthy soils on a global scale is one of the best ways to draw down enough carbon to prevent a catastrophic climate crisis? ―And carbon storage isn’t soil’s only superpower; the ways that soil stands to positively impact the lives of billions worldwide are tangible and immediate: replenished water cycles, restored fertility, and regenerated ecosystems. What’s not to love? Whether you decide to grow a plant for the first time, advocate for the The Soil Story Curriculum at your children’s school, start composting, or are ready to become an official Soil Advocate, join us in showing a little love for the miraculous superhero beneath our feet every day! Thank you for joining us on the journey to regenerate the planet, starting with soil. Together, we can do this! Support your local farmers market. Ask your farmer to tell you about how they care for the soil and ask them about touring their farm —this is also a great activity for kiddos! Grow a plant. Start with one, then usually it will become two or three and soon you’ll be a gardener! Grow your own food. Click here to learn how to create your own Regenerative Garden in your backyard. Fund a farmer! With $5,500 we can provide a scholarship for a farmer to receive training, soil testing, consulting time and support in accessing markets. Host a dinner. Grab Kiss the Ground’s Free Purchasing Guide and some friends and make a meal from local farms building healthy soil. Take it one step further and read “Kiss the Ground Book” to deep dive into how the food you eat can help heal the planet! Wear clothes grown by farmers sequestering carbon and caring for their soils. Learn more about Fibershed, an innovative organization developing regional fiber systems that build soil & protect the health of our biosphere. Advocate for eco-literacy. Download Kiss the Ground’s Free Soil Story Middle School Curriculum and share with the children, teachers, parents, and administrators in your community! Become a Soil Advocate! 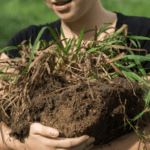 Learn how to powerfully present the topics of soil health and regenerative agriculture as solutions to climate change, water scarcity, and feeding the world. 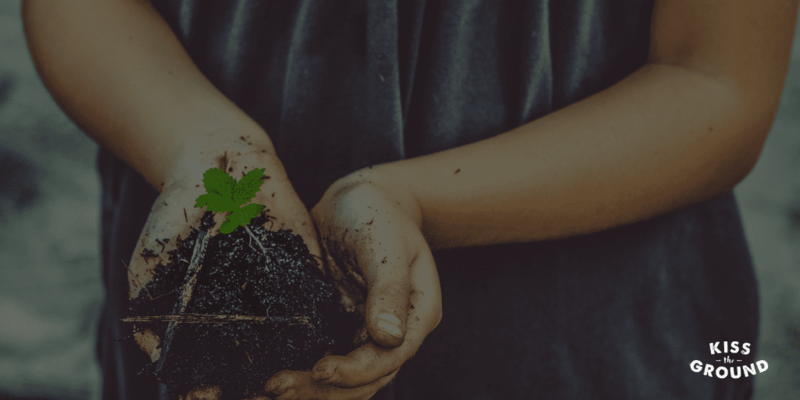 —We also invite you to download the Soil Health Communications Tool Kit, a brand new resource just released today from the Sustainable Food Lab that connects the importance of soil health to business, identifies best practices and showcases private sector actions. Learn about and follow all the amazing organizations working to build healthy soil, grow nutritious food, and reverse climate change worldwide.